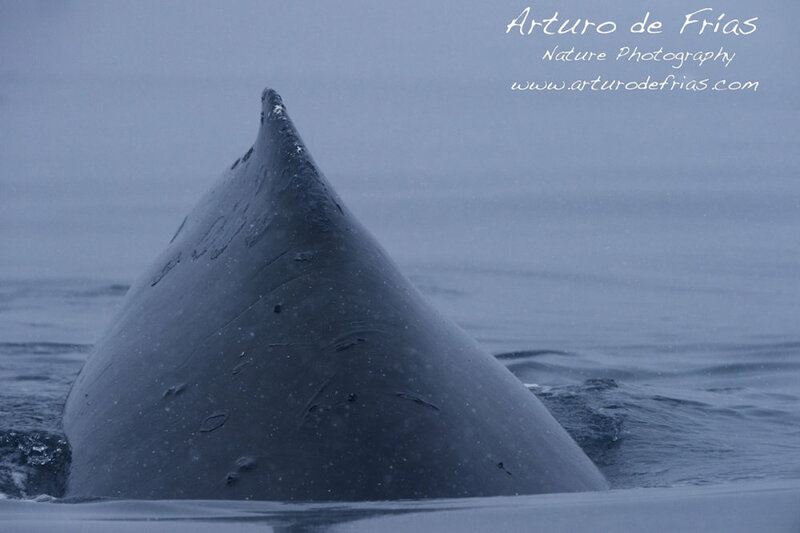 Another closeup, this time of the whale's dorsal fin. The Humpback was so close to the zodiac that every bit of skin detail is visible in the image. Otro primer plano, esta vez de su aleta dorsal. La yubarta estaba tan cerca que se puede apreciar en la imagen cada pequeño detalle de su piel.